News: a competition will be launched next week to design a new Bauhaus Museum in Dessau, where the famous German art and design school was based between 1925 and 1932. The Foundation Bauhaus Dessau plans to open a new museum in 2019, coinciding with the centenary of the historic school founded by architect Walter Gropius. It will provide a permanent exhibition space for the foundation's extensive archive, which is the world's second largest collection of Bauhaus heritage material and includes approximately 40,000 objects. "The planned Bauhaus Museum Dessau will for the first time provide the opportunity to present to the public for the long term the outstanding collection of the Bauhaus Dessau Foundation under the best possible conservation conditions," said the organisers. The building will be located in the Dessau city park. The aim is for museum and park to "strengthen and complement" each other, creating a new cultural destination within the city centre. One of the most important art and design schools of the last century, the Bauhaus was a significant catalyst for the Modern design movement and helped revolutionise 20th-century art and architecture practice. Alongside Gropius, it was directed by architects Hannes Meyer and Mies van der Rohe, while teachers included artists Wassily Kandinsky and Paul Klee. The school existed in three German cities: Weimar from 1919 to 1925, Dessau from 1925 to 1932 and Berlin from 1932 to 1933. It eventually closed under pressure from the Nazi-led government. In 1996, the complexes in Weimar and Dessau were listed as World Heritage Sites by UNESCO. In 2012 a contest was launched for a Bauhaus Museum in Weimar. No winner was selected, but Berlin-based architect Heike Hanada was later given the commission, alongside professor Benedict Tonon. The original completion date was scheduled for this year. In 2005 Japanese firm SANAA was chosen to extend the existing Bauhaus Archive museum in Berlin – a building designed by Gropius in the 1960s. The project was later abandoned, but a contest for a new Berlin Bauhaus museum is expected next year. 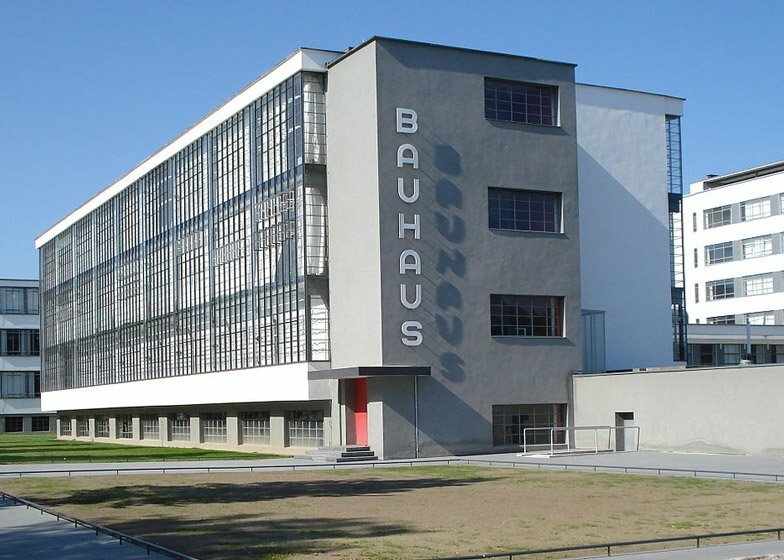 The Foundation Bauhaus Dessau will launch its two-phase contest on 2 March and entrants will have until 13 April to submit their designs. According to the organisers, the winning proposal will be one that "implements the desired qualities and quantities in a functional overall concept within the specified cost and time frames, positioning the Bauhaus convincingly in a contemporary manner". The budget for the project will be €25 million (£18 million). Half of this will be funded by the federal government, while the other half will come from the federal state of Saxony-Anhalt.